Bait — typically sugary human food such as doughnuts — is by far the most common method of bear hunting and accounts for about four-fifths of the hunt. It emerged as the most debated of the three methods during the run-up to Tuesday’s vote. Opponents of the initiative did a good job of convincing voters that managing the state’s bear population will be difficult without the hunting methods, said James Cote, a spokesman Save Maine’s Bear Hunt, which campaigned against the ban. ‘‘We’ve done a good job educating the public about the benefits of these methods of hunting for wildlife management,’’ Cote said. Baiting is either the problem with bear hunting in Maine or the solution for bear management, depending on whom you ask. Maine’s bear population has risen about 30 percent, to 30,000, from 10 years ago. Proponents of eliminating the hunting methods said the use of bait is actually helping increase the state’s bear population by providing them with thousands of pounds of human food. All the high-calorie food has created a well-fed bear population with greater reproductive capacity, and it habituates the animals to humans, advocates said. In Portland, Mark Dennis said he voted in favor of the measure and that he considers the hunting methods cruel and potentially dangerous to humans. ‘‘You don’t ever want to train a wild animal to get used to the idea of humans providing food,’’ he said. Opponents said the methods are necessary to control the state’s bear population and to avoid dangerous encounters with humans. Nuisance bear encounters have increased about 25 percent, to about 500 per year, from a decade ago. Twelve states allow bear baiting, with varying degrees of restrictions. 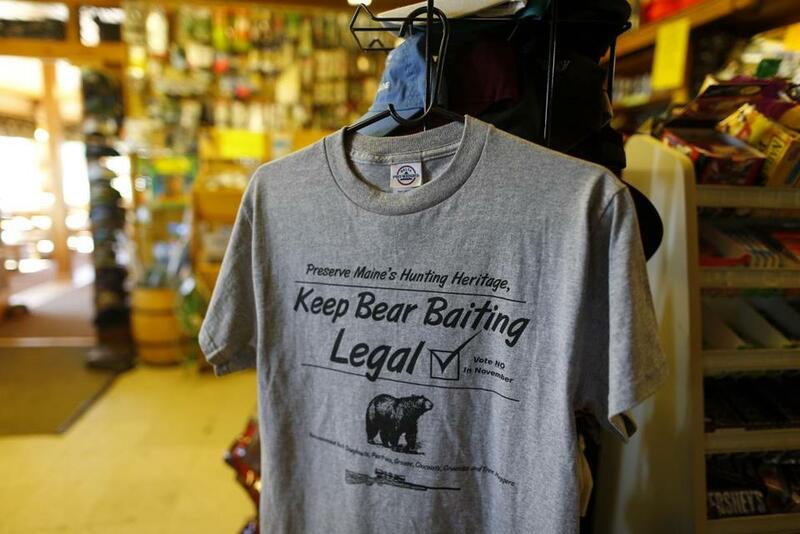 Hunting outfitters said they believed banning bear baiting would hit the state’s economy hard because hunters would stop coming to Maine for bear season.